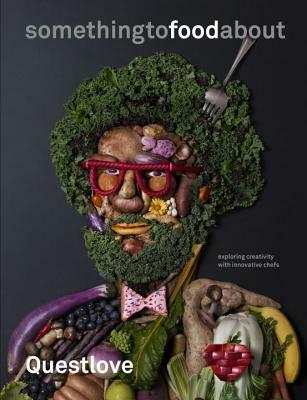 QUESTLOVE, co-founder of hip-hop superstars The Roots and bandleader for Jimmy Fallon’s The Tonight Show, is one of our great cultural commentators--a wide-ranging mind whose interests span from music to politics to race to design and now, food. Somethingtofoodabout is a book about art, craft, creativity, and deliciousness: essays and conversations with ten inspiring chefs on what makes their creative clocks tick. BEN GREENMAN is a staff writer at The New Yorker and a New York Times bestselling author who has written both fiction (The Slippage, Superbad) and nonfiction. He was Questlove's collaborator on the acclaimed hip-hop memoir Mo Meta Blues, and most recently coauthored George Clinton's memoir, Brothas Be, Yo Like George Ain't That Funkin' Kinda Hard on You. He lives in Brooklyn and rarely leaves. KYOKO HAMADA was born in Tokyo and grew up in Chiba, Japan. Hamada came to New York City to study, graduating from the Pratt Institute studying photography and painting. Her subject matter has often been ordinary people and objects stylized and staged into subtle quiet moments. She has been working as a commercial photographer for the last ten years and her work appears several magazines, including The New Yorker, Atlantic magazine, and Wall Street Journal Magazine.